This is an absolutely spectacular 3 bedroom home situated in a really sunny position on the periphery of the central garden area. The finishes in this home are way above standard, 3 airconditioners to keep you cool in summer. There are two well-appointed bathrooms, a beautiful kitchen with built in dishwasher and eye level oven, hob and extractor. The bedrooms are all well-cupboarded and carpeted. The large lounge and dining room are open plan to the kitchen, which then lead out into the beautifully enclosed sun-room with amazing views over the village gardens. The garage is larger than a normal single garage, with plumbing and facilities for a washing machine and tumble drier. River Glade is one of the last remaining 'freehold' retirement villages around. 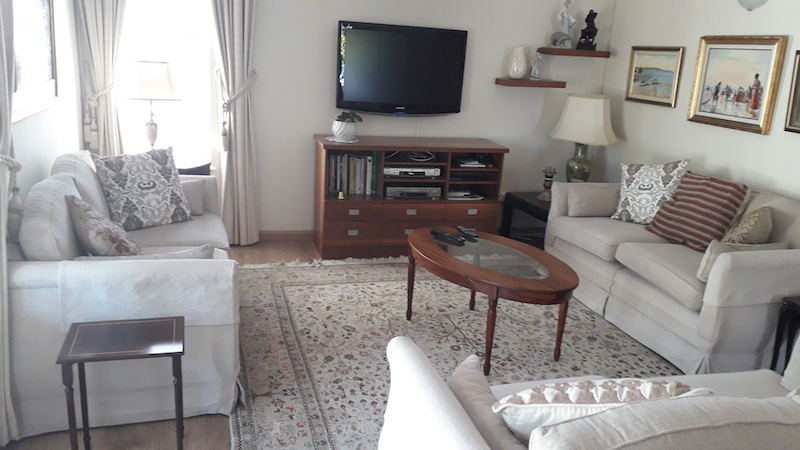 Set in Parklands/border Sunningdale, it is close to shops and doctors and a short drive to the sea with the best views of Table Mountain imaginable. River Glade has an award-winning frail care on site which is run by the CPOA. A dining room serving mid-day meals is on site and there are many activities that one can get involved in. Unfortunately NO PETS allowed.